The "Città di Castelfidardo" held in Italy is one of the most prestigious international accordion competitions. After three rounds of intense competition, Hanzhi Wang won the title of the 40th session. 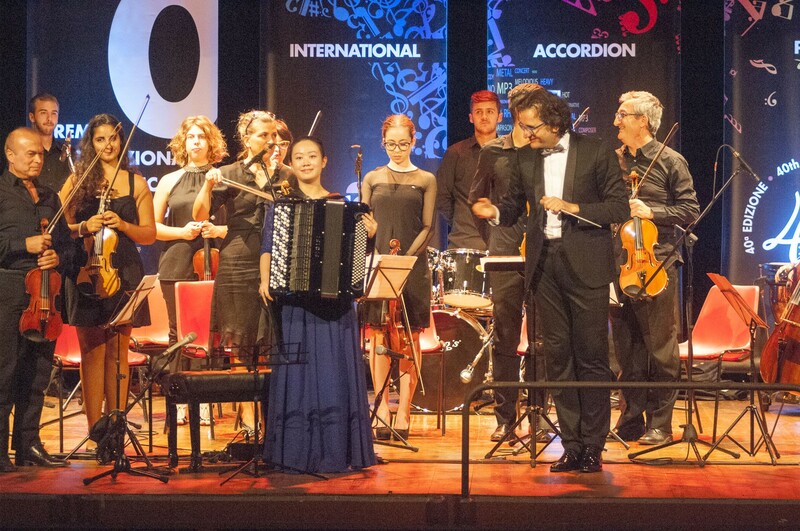 The tournament was initially held for the first round, semi-finals, but from the 40th session, it was restructured into the three rounds, of which the third round of the accordion concerto by the players were to be completed with the symphony orchestra. The 40th tournament by Maestro Roberto Molinelli personally directs his new accordion concerto "Il Bosco della Musica", created for the competition. Hanzhi Wang's full-of-passion performance outstripped other competitors and won long applause of the audience. The organizing committee praised Hanzhi Wang for the passionate interpretation and flawless technique, winning her a great event. 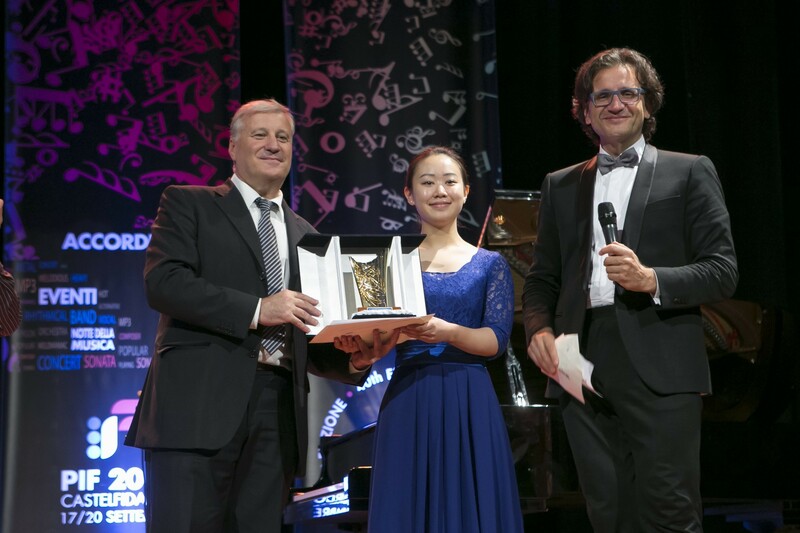 Hanzhi Wang received the special award of Accordions Worldwide which consists of a Domain Website, presented by Harley Jones (Founder of Accordions Worldwide).